Though the official calendar winter begins in December and ends in February, our winters never seem to follow the rules. The first snow often comes sometime in October (or if we’re lucky enough, in November) and it’s always quite a surprise. One day we are wearing only jumpers outside and the next artic apparel. In early December we enjoy winter activities with our kids such as sledding and skating, but by Christmas our merrily turns to over it and by January we are exhausted… knowing fully well that there are still some months to come of winter. What is this? Christmas noon? Early February? No, it’s November 11, 2016… Source: author’s photo. So, to think that a Belarusian winter lasts at least half the year would be fair enough. Thus to survive this winter lifestyle you must prepare properly. 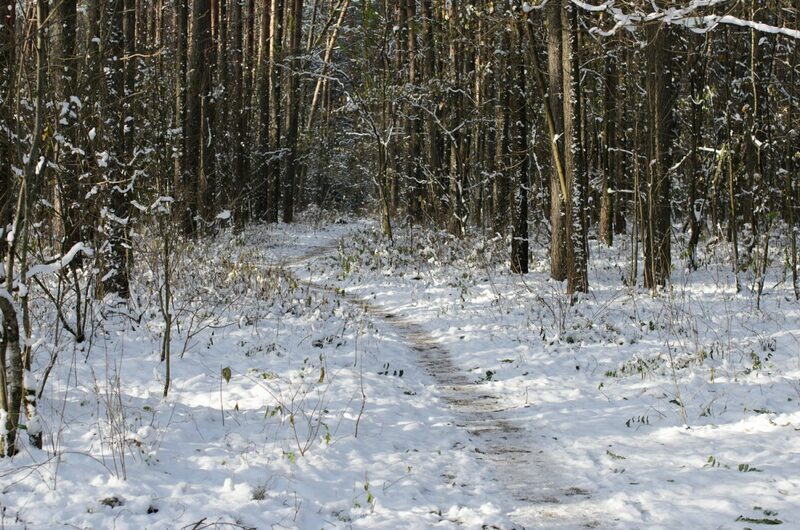 First and foremost is to foresee every type of Belarusian weather condition from slush, to frost, to arctic blizzards. Those with the toughest jobs are Belarusian parents…especially ones with young children. 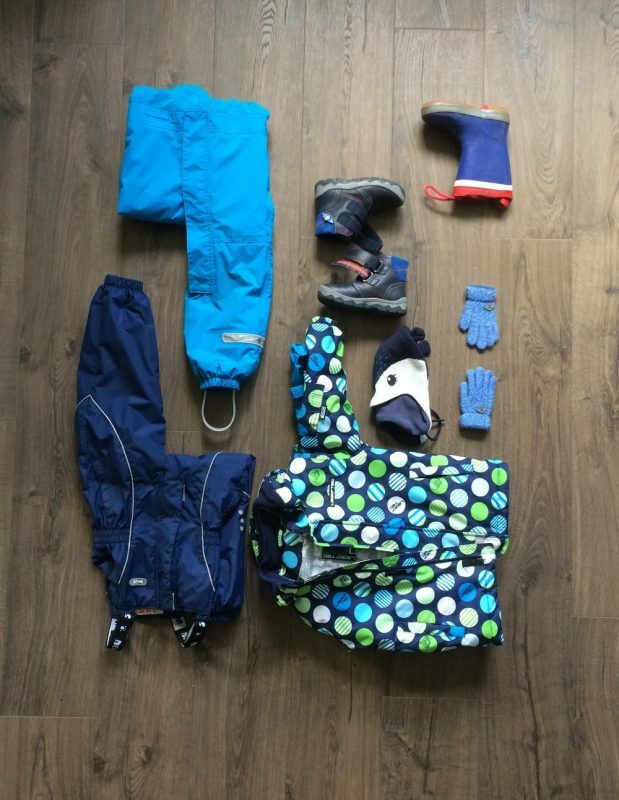 Preparing a winter wardrobe for a toddler reminds me of a Tetris game; where new (or not so new) boots, socks, overalls and hats are like coloured bricks, and to win, you need to use your imagination and intuition. First you need to find everything in the proper size; not too small and not too big. Then you need to to put it all back and start over to make sure it fits your budget. And finally, you need to get the ok from the Big Boss – your kid. There is nothing more frustrating than wresting a toddler every morning to put on warm clothes to brave our cold winter months. Not that shade of pink? Boots without lights? A fox on a hat instead of a cat? Sounds weird from a person who couldn’t talk at all a year ago, but it will save you hours of frustration to ask him or her first (this of course does not prevent the out-of-nowhere meltdowns, but it does help a bit in the everyday comings and goings). To make matters a bit more complicated, who would have thought that the miniature version of your husband’s shoes would cost the exact same price…and why dear Lord does your child’s foot change sizes four times in one year?! The answer to both of these questions is: both parents are still wearing shoes from the Extra Mega Sale in 2011, and Superglue is rather cheap. A Belarusian mother is not the only family member responsible for the family’s winter readiness. While mothers are busy getting approval from their kids on kindergarten apparel trends, fathers are also tasked with many jobs. The most sacred of which is finding that special moment during the day and year to change the seasonal tires from summer to winter! This time a man needs to use his intuition, closely following weather forecast so that he and his family do not get caught out by a sudden snowfall.. Even if the snow melts and the roads are clear for weeks, his job is not complete until roughly May… just in case. If you live in Belarus and you are human, then you most likely have a garden or at least someone in your family does. Not only do our personal gardens provide us with fresh veggies, clear from nitrates and GMOs, but they also provide us with a year’s supply of food for nearly nothing (only shelling out small sums of money for seeds and a few wheelbarrows of cow pies each year). You see, Belarusians must always think ahead. Our food supplies have faltered in the past so we have become efficient food preservers. In June when we first harvest the strawberries, we make jam. 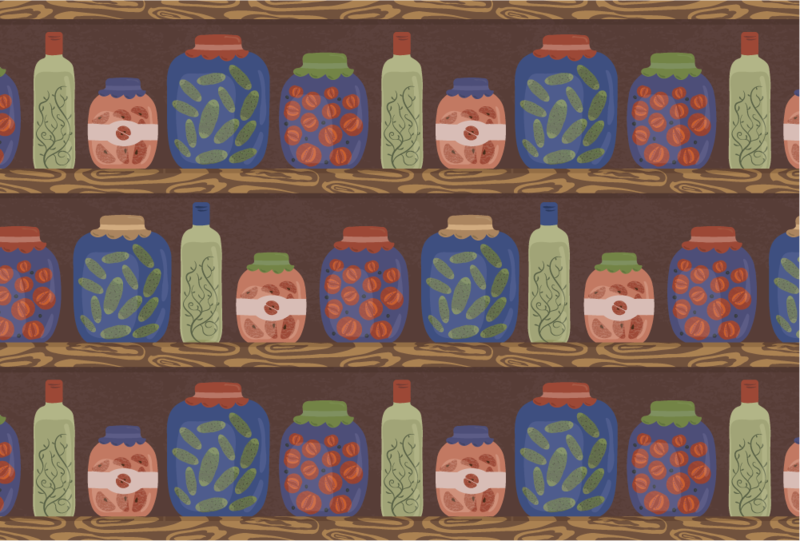 In July we make pickles. August we can tomatoes and sweet peppers. September we make apples juice and harvest the pumpkins. All in preparation for our long winter months. But, most important to the Belarusian diet – potatoes. 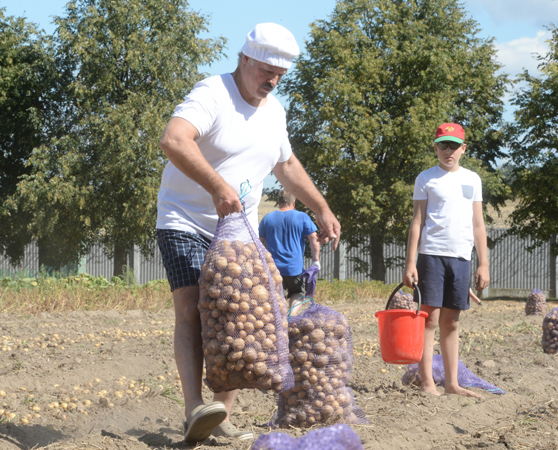 Potatoes are not only the most famous Belarusian national food, but a symbol of food security. For a family, a few bags of potatoes means substance through the long winter months…it is safety. If yourself are not lucky enough to have a potato field, most likely one of your relatives does and they won’t let you starve. If they have no heart they will at least give you a bag of potatoes but most likely they do and thus will give you at least three or four. The best way to secure your bag of potatoes is to offer your help in harvesting the potatoes. Honestly, how can you not when your own President does (oh boy, my husband has the same trousers)? Once all of these things have been checked off your winter to do list you are finally ready for winter. Kids shopping done without having to sell a kidney. Tires changed. Storehouse shelves filled with all sorts of preserves. Potatoes kept safely. We then close our windows, turn the heating on, and enjoy the best we can our long winter! This entry was posted in Blog & Vlog. Bookmark the permalink.